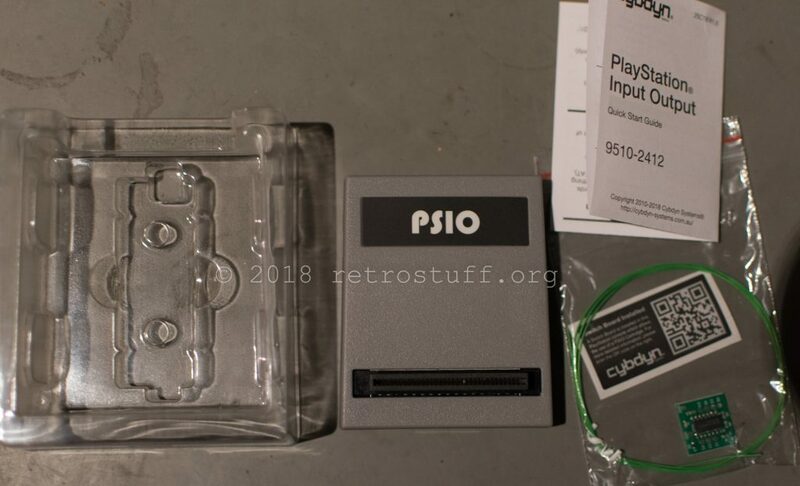 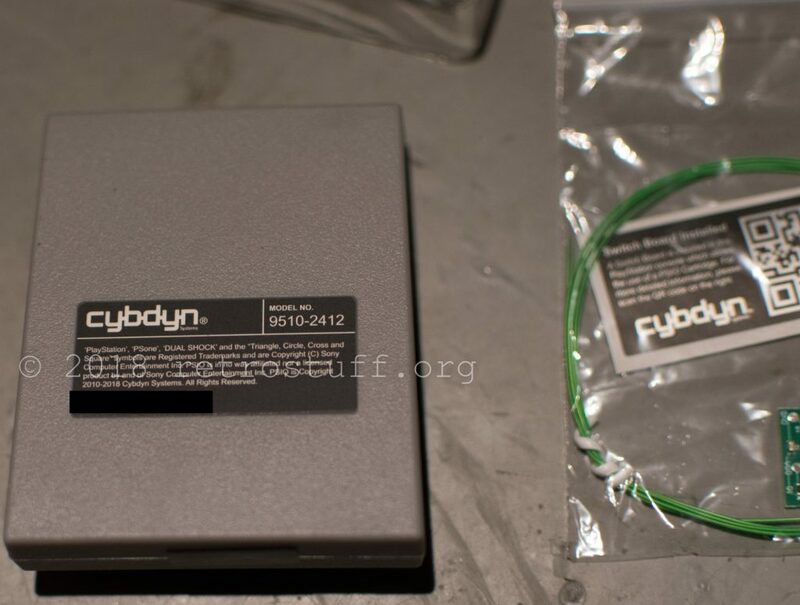 The package contains the PSIO cartridge, a quick start guide, the switch board, some wire and a sticker. 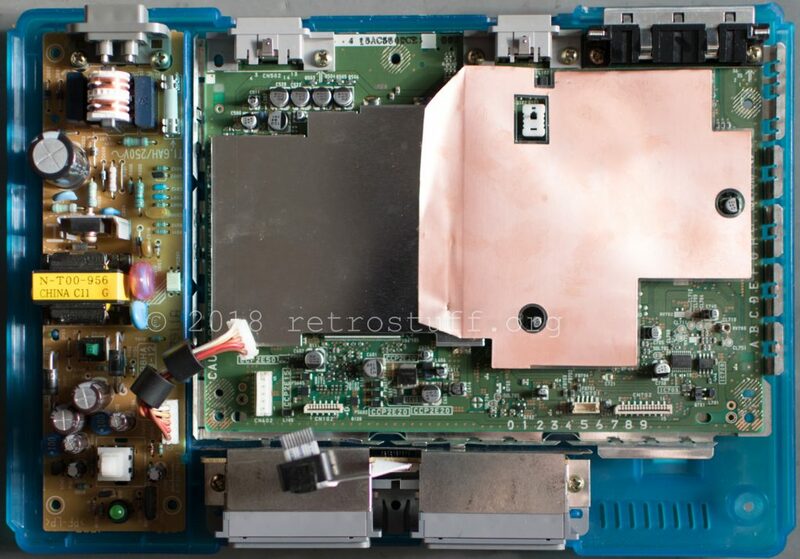 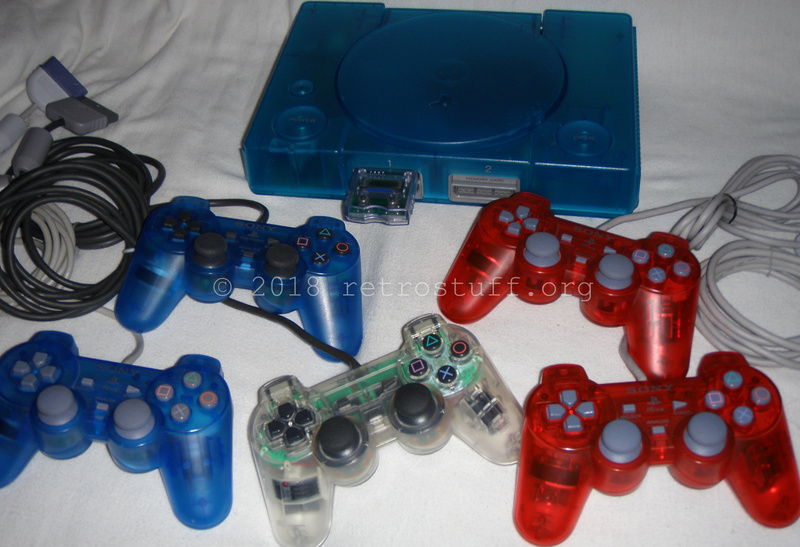 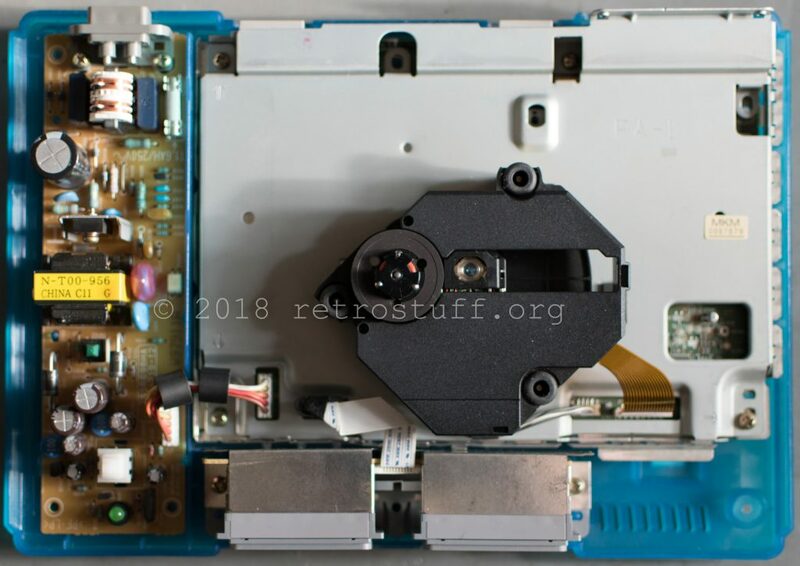 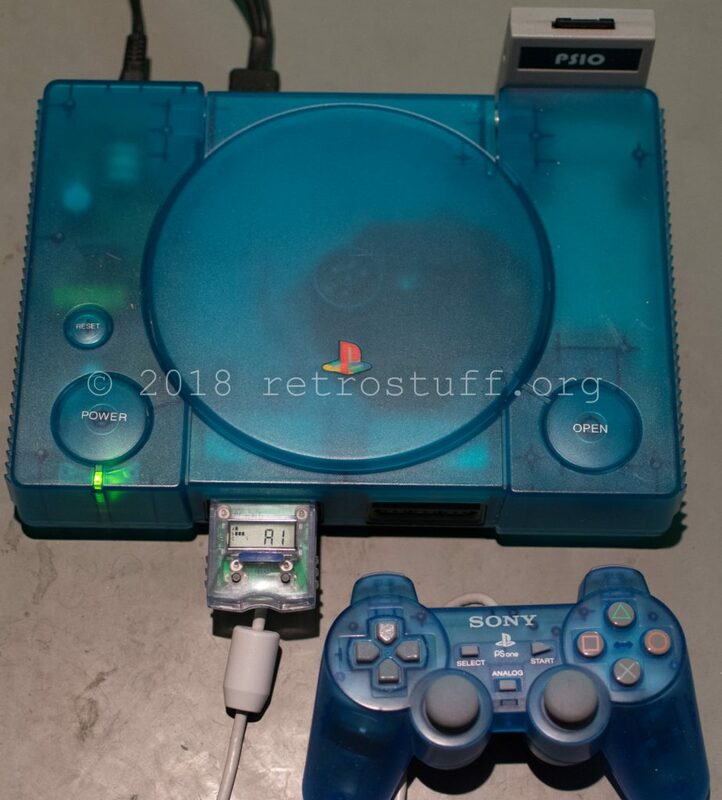 I’m going to install the switch board into my SCPH-5552 PlayStation that I bought years ago with a custom blue case. 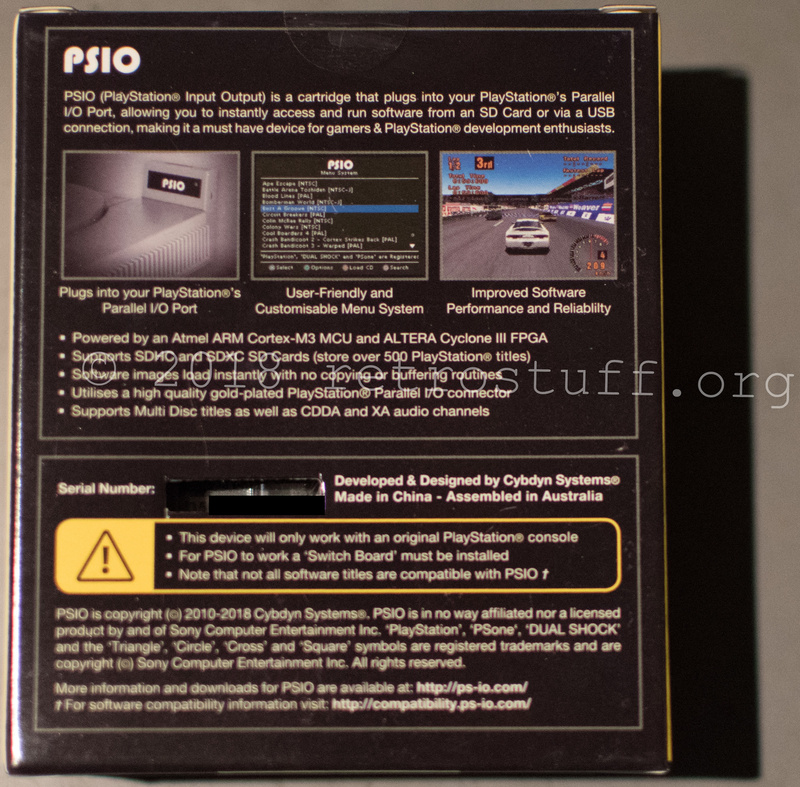 Installation instructions can be downloaded from the PSIO downloads page. 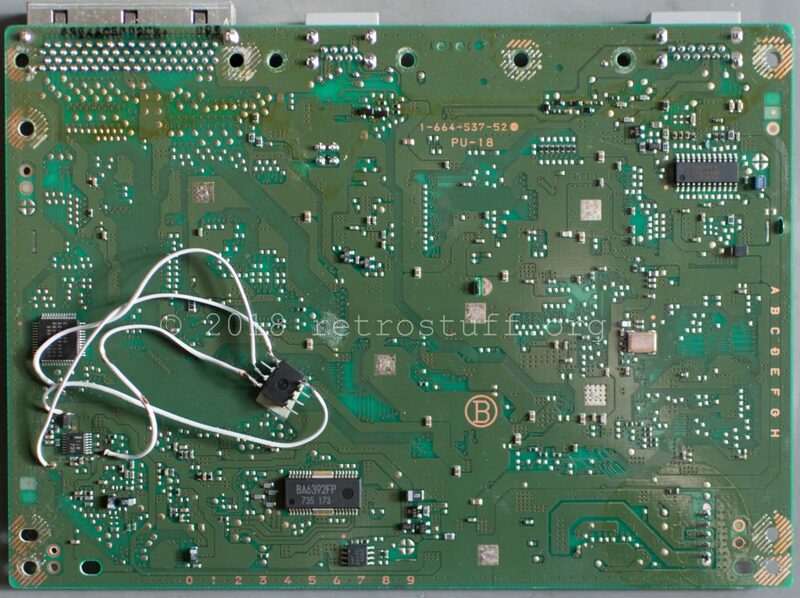 There are instructions for 5 different mainboard revisions. 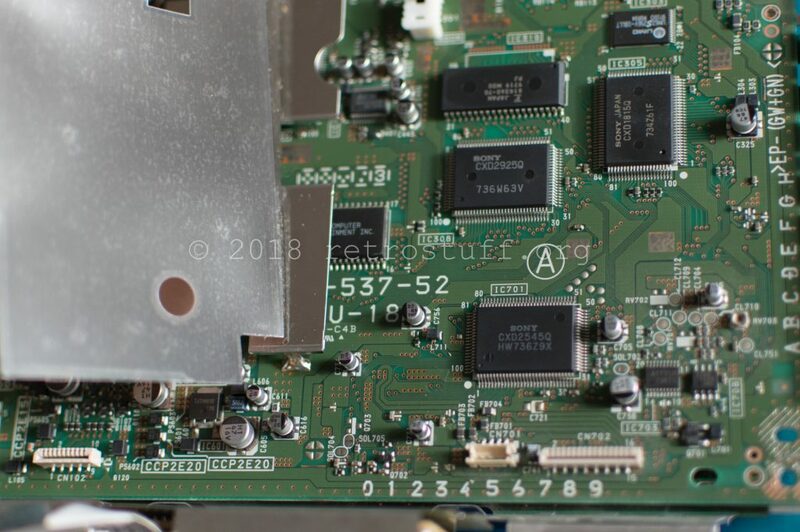 The SCPH-5552 model has the PU-18 mainboard built-in, according to this list. 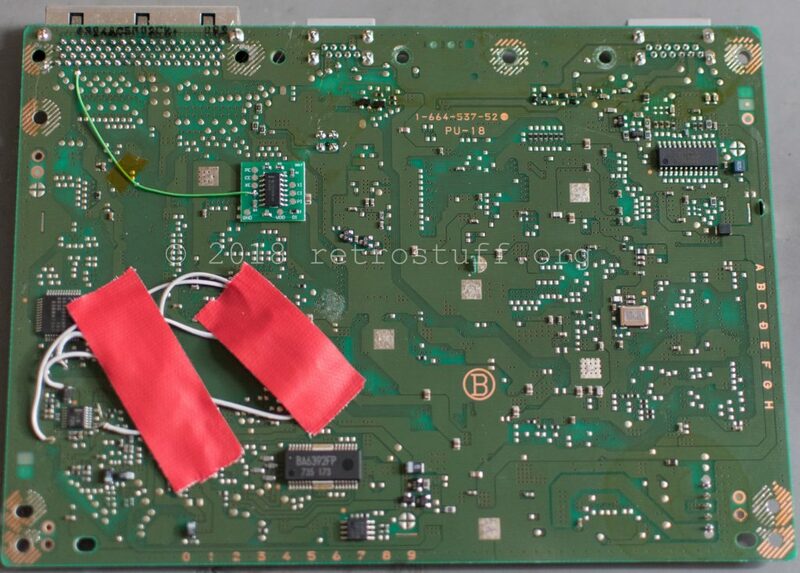 Let’s open it up and check if this is true – you never know when dealing with a unit that has been put into a custom case. 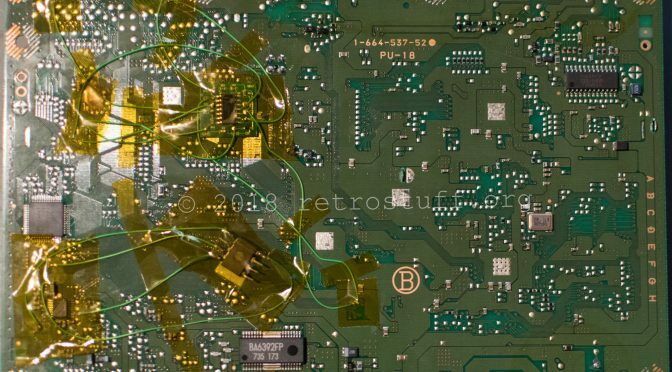 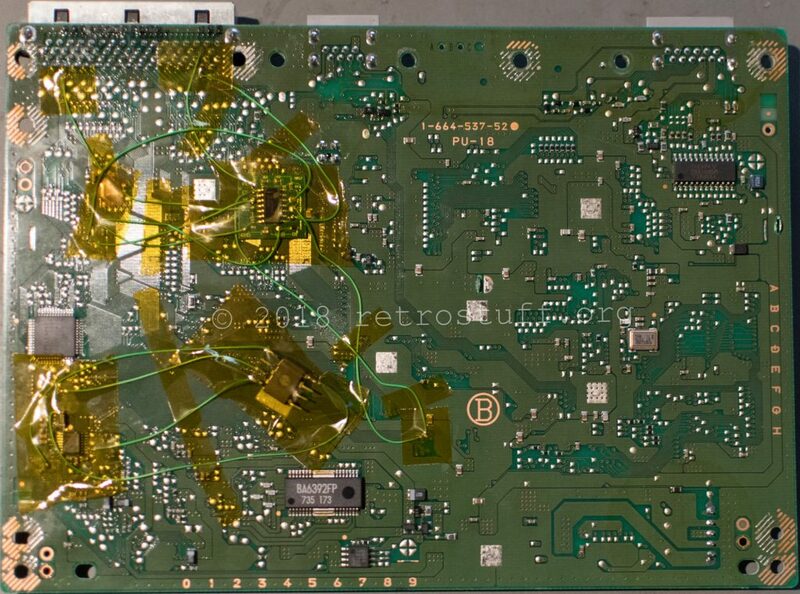 On the bottom side of the PCB there is a weird old modchip installation. 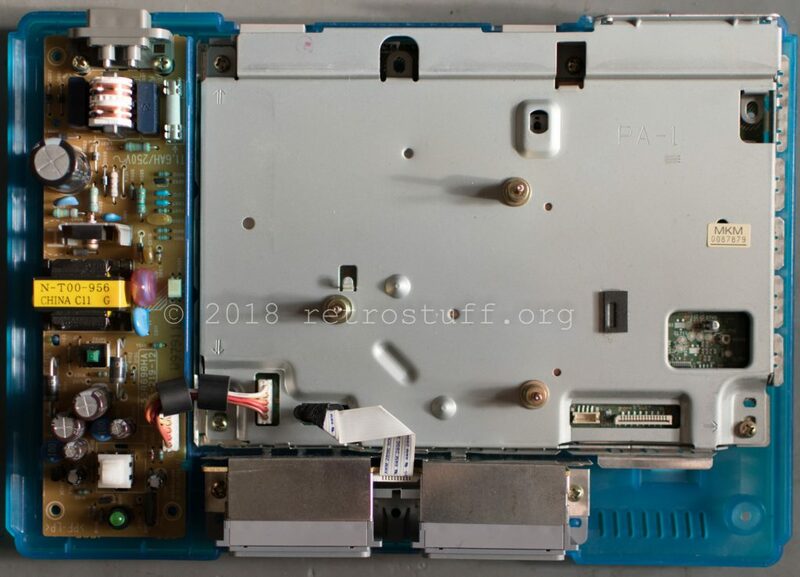 I covered the modchip with some tape for now, as it worked flawlessly so far, and went right for the switch board installation. The installation manual warns about running wires over the ground contacts (circled), well, the same goes for the Kapton tape. 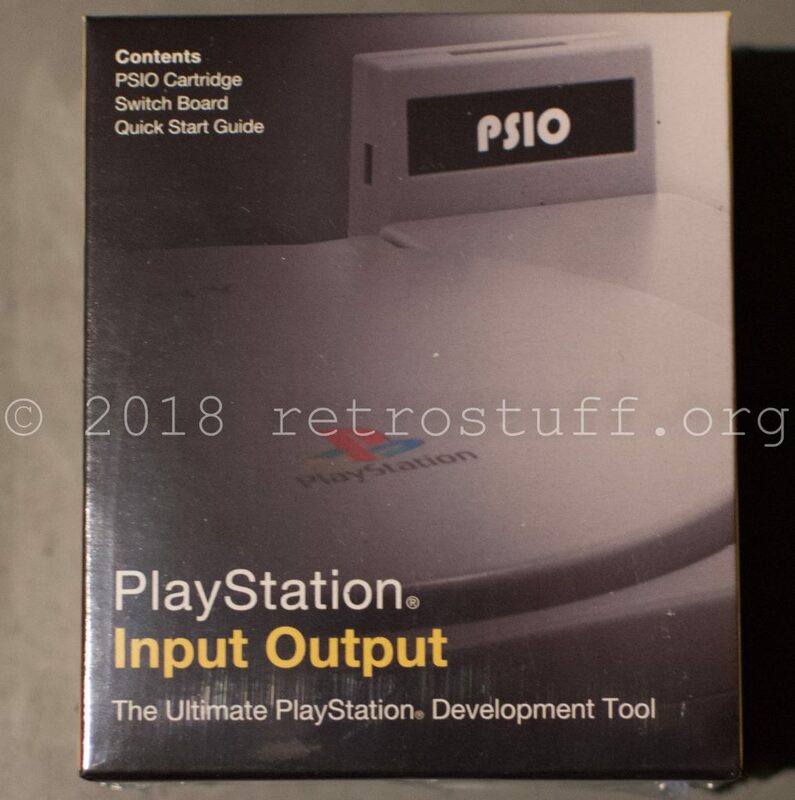 Before reassembling the console I tested the installation with the PSIO cartridge plugged in. 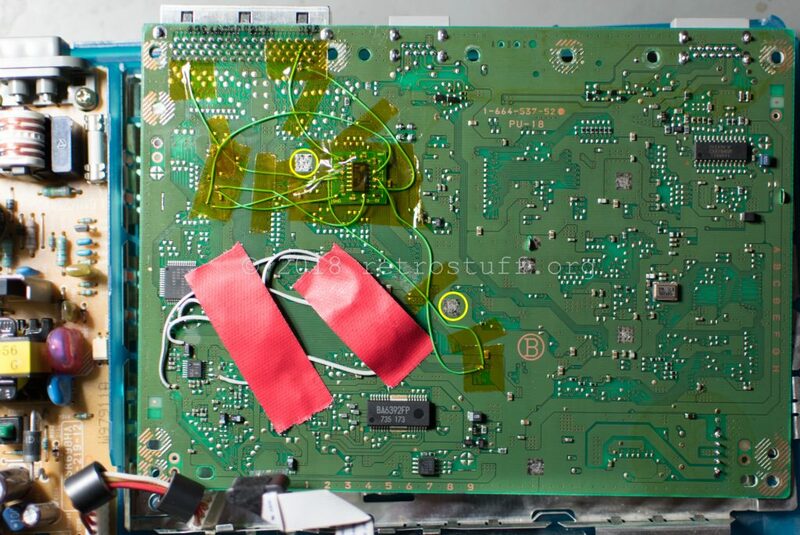 It worked on the first attempt. 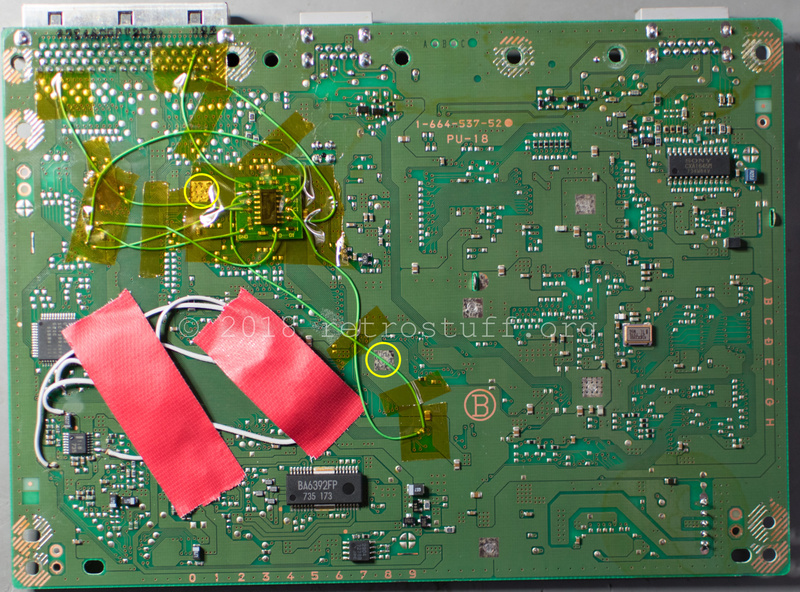 Some final touches: freeing the ground contacts and tidying up the modchip wiring with the leftover wire.